The well-intentioned military reorganisation by Khusrau I - splitting the command between four generals, one spahbad for each of the four quarters of Eranshahr had unintended consequences. By the end of Khusrau II's reign it was clear that the situation was becoming very similar to what it had been in the final years of the Parthian regime. Local dynasts were looking after their own interests, consolidating their own wealth and power, and disregarding the central authority of the Sasanian kings. They were not very concerned about showing solidarity - even when faced by external enemies. Bahram Chobin was the first non-Sasanian (though he was of Parthian descent) to make the bid for supreme power. Others followed. Kavad II had killed all his brothers. When he died, there was only his baby son available as a Sasanian heir, who very briefly became king of kings as Ardashir III. Shahrbaraz, Khusrau's sacked general took his chance. He marched on Ctesiphon, killed Ardashir III and made himself king. It was all of a few months before he was murdered in turn. 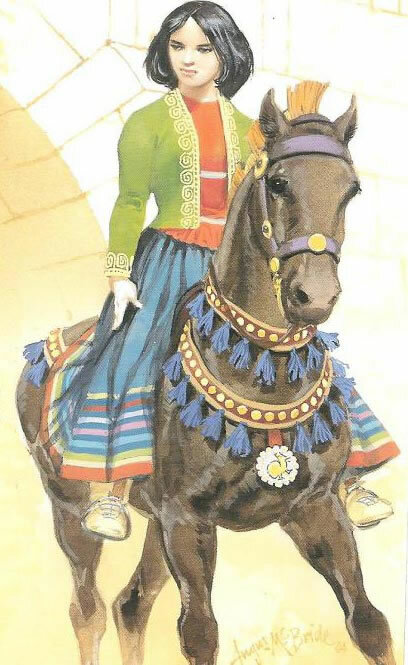 Her restoration was short-lived, deposed and probably murdered by another general, succeeded by another queen (her sister) - they came and went with embarrassing speed, rulers and wannabe rulers, some simultaneously, claiming different parts of the empire: Joshnabandah, Azarmidukht (Burandukht's sister, and general Shahrbaraz's widow), Hurmazd V, Khusrau III, Peroz II, Khusrau IV. All held power fleetingly between 630 and 632. Yazdegird III, a previously undiscovered grandson of Khusrau II, was put forward as king by the nobles, led by the spahbad Rustam. He was crowned aged 15 in the temple of Anahita at Estakhr, in Persis, from where the Sasanian dynasty had originated. Did they think the time had come to consolidate Sasanian rule in its traditional homeland? But outside Persis, events were moving fast. Persia's long-term enemies, the Turks and the Byzantines, were no longer a threat. Exhausted by decades of warfare, with manpower and leadership seriously depleted, a long period of peace was needed for the army to rebuild its strength and confidence. Agriculture had been disrupted by war and natural disasters, and the ruling class was distracted by futile but fatal quarrels within itself. This was the moment a new, unrated, force chose to strike. Their speed of action recalls Cyrus the Great's blitzkrieg in the 6th century BC. by 632: The Arabian peninsula is united under Muhammad; the Sasanians have already been ousted from Yemen and Oman. 632, June: Death of Muhammad. Abu Bakr becomes first caliph. 633: Arabs invade Iraq and are defeated at the Battle of the Bridges in 634. They are forced back across the Euphrates by the Savarans, and their leader is trampled to death by an elephant. This is the Sasanians' last military success. 634: Crushing Arab victory over Byzantines at Battle of Ajnadayn in Palestine. Death of Abu Bakr. Umar becomes second caliph. 636: Arab victory over Byzantines in Syria at Battle of Yarmuk. Sasanian army under Rustam is defeated at Battle of Qadisiyya by Arabs under Caliph Umar. Many troops desert, and convert to Islam. 637: March: Ctesiphon is captured; Yazdegird III and his court officials flee to Persis. The legendary "Banner of Kaveh" is captured - a devastating psychological blow. April: Arab victory at the Battle of Jalula, where Sasanians had regrouped. Thousands of Sasanian troops killed. Yazdegird flees to Rayy. Battle of the Iron Bridge: Syrian conquest is complete (October). 642: Umar takes Khuzistan after a long struggle. Battle of Nihavand: Umar takes Media. 650: Arabs conquer Persis after prolonged struggle. Yazdegird flees to east, like Darius III. He hoped for help from the Turks or from China. 651: Yazdegird is murdered in Merv in Chorasmia by a quarrelsome miller who fails to recognise the king of kings. In Umar, the second caliph, the Arabs had found a leader of exceptional calibre. The Arabs were welcomed by the elements in Persia that had once supported Mazdak, especially the poor farmers trying to make a life for themselves despite fierce taxation. Many were happy to accept Arab rule and convert to Islam if it meant lower taxes. But it was among the huge number of Iranians enslaved by the Arab conquerors that Islam - and the Arabic language - spread most effectively. With Islam's message of equality, it was eventually impossible for the conquerors to remain an elite - as conquerors elsewhere mostly tried to. When the Muslims took Ctesiphon, the whole Persian empire was dissolved, and the outlying provinces which remained in Yazdegird's hands were of no avail to him. By contrast, the centre of the Byzantine state was in Constantinople ... the loss of Syria did not harm them. After the Battle of Qadisiyya in 636, it was every man for himself: once the king of kings had lost his centre of power and authority there was nothing to hold Eranshahr together. And, due to Khusrau I's army reforms, once the Mesopotamian army had been defeated, the whole empire was wide open. The individual provinces, however bravely they resisted, were picked off one at a time. Peroz requested only a simple burial and the Chinese emperor approved. The entire exiled court was in attendance along with the Chinese emperor. The Chinese emperor held Peroz's shaking hands. Peroz looked west and said: "I have done what I could for my homeland (Persia) and I have no regrets." Then, he looked east and said: "I am grateful to China, my new homeland." Then he looked at his immediate family and all the Persians in attendance and said: "Contribute your talents and devote it to the emperor. We are no longer Persians. We are now Chinese." Then, he died peacefully. A beautiful horse was made to gallop around his coffin 33 times before burial, because this was the number of military victories he had during his lifetime. Peroz was a great Chinese general and great Persian prince devoted and loyal to his people. 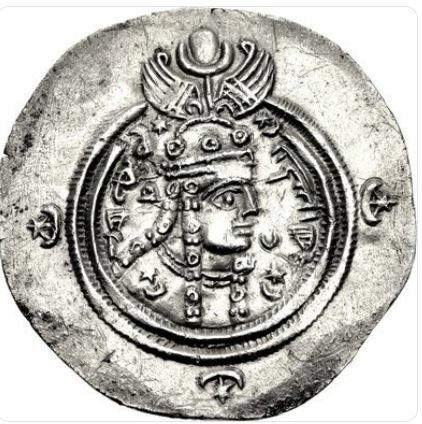 The last Sasanian we hear of was Yazdegird III's grandson, Khusrau: according to Chinese sources, he invaded Persia with Turkish allies - but was unsuccessful. The weakened Sasanian empire - it must have been congratulating itself on winning a breathing space by forcing peace with the Byzantines in the west and the Turks in the east - was overrun in a few years by a new power. The desert Arabians had united under the prophet Muhammad, and were finally powerful enough to invade the rich and tempting territories to the north and east. For earlier dealings between the Arabs and the Sasanians see here. Khusrau's general - though scapegoated for the king's failures, had not in fact been defeated by the Byzantines, and had kept his army intact. He'd made a secret pact with Heraclius, and moved on Ctesiphon with the emperor's approval. Very possibly he'd even become a Christian. He married Azar (Azarmidukht), daughter of Khusrau II to give himself some pretence of a legitimate claim to the throne. Kaveh was a mythical blacksmith who led opposition to the evil Arabian monster Zahhak, as handed down in the Avestan tradition - and appearing later in Firdowsi's Shahnameh. His blacksmith's apron became the banner of rebellion, and symbol of opposition to foreign rule - and "Kaveh's Banner" was adopted as the standard of the Sasanians. The Arabs helped themselves to Immense quantities of booty after the capture of Ctesiphon. According to al-Tabari, as well as Kaveh's banner, the Arabs took the massive 10,000 square foot Royal Carpet (which Umar cut up and gave pieces to the people). Thousands of Persian ladies were sent to Arabia and sold as slaves. For the first time the Arabs got a glimpse of the wealth and luxury of the Persian aristocracy. Constantinople was hard to reach and hard to capture. It had resisted all-comers since the great walls were strengthened by the Roman emperor Theodosius II (AD 408 - 450) - and was to carry on doing so until it finally fell to the Crusaders in AD 1203 - and it didn't finally give way until the sack by the Ottoman Turks in 1453. Ctesiphon had already proved vulnerable: once the Arabs had captured it, the defence of the Persian empire fell apart.